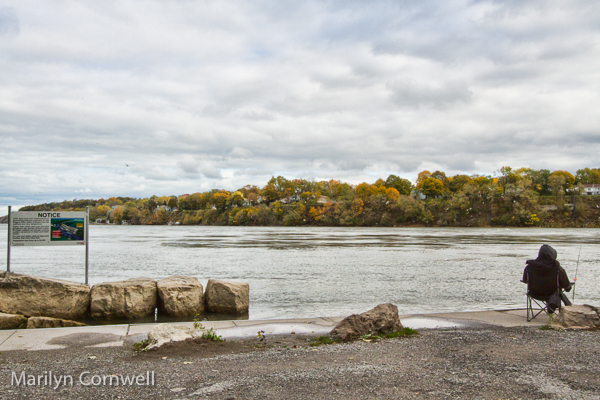 The Lower Niagara River can be fished 12 months a year, and someone was out fishing a few weeks ago. There are a lot of varieties of fish. Chinook and coho salmon, steelhead (rainbow trout), walleye, small mouth bass, white bass, carp, catfish, yellow perch and carp. There are even Muskellunge and Northern Pike. There are sturgeon though these are endangered. The deepest section below the falls is 170 feet deep, just below the Falls. That's the same as the height of the Falls themselves. I was curious how deep the sections of river are for the pictures we're looking at today. 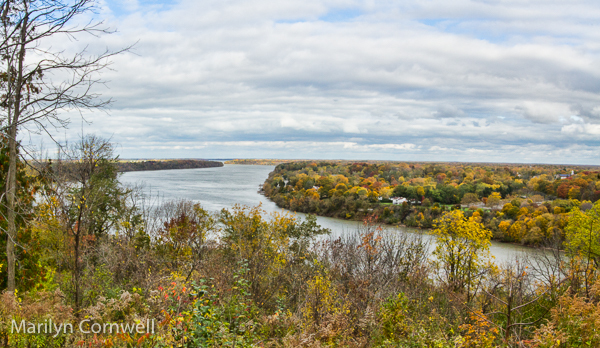 The first is the scenic look-out at Queenston - it faces towards Lake Ontario. 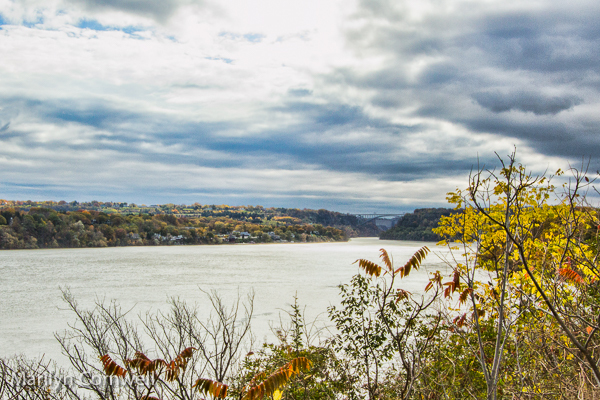 The second looks towards the Niagara Falls - this is the Queenston Bridge in the distance. Our final image shows the Queenston docks withe the ubiquitous fisherman.